Whether you’re in a back office, or going door-to-door, whatever your application, Steadlands has an electronic signature solution that suits you perfectly. 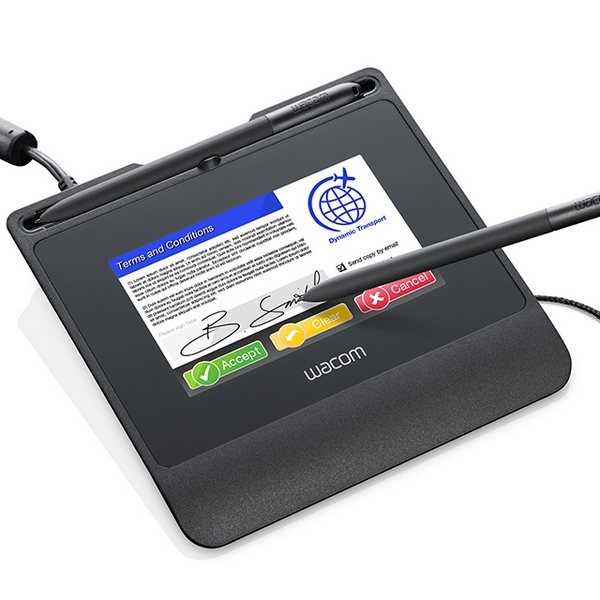 From a simple signature pad to sit on a quiet desk to sign letters, we can offer you a selection of esignature devices that reaches up to a completely portable solution capable of converting hand-completed forms into electronic documents. At the entry level, we offer the ePad, ePad II, and STU-300B. All are suitable for simple signature capture, although the STU-300B also boasts a small LCD screen that allows a signer to see their signature appear under the “pen”. The ePad II also has an identifier code that is unique to each separate pad, allowing an administrator to determine exactly which ePad II was used to capture a specific signature. All three of these units are small and light, and so will easily slip into the side of a laptop case for easy transport, although do still need to be plugged into a computer to work. The PHU-111KO Clipboard, on the other hand, is a rechargeable, portable solution that lets you complete entire forms (in ink, no less! ), and have them automatically transcribed into electronic documents. Those documents are then saved on a local storage device, usually a mobile phone or tablet, and can later be transferred to a company network. Clever use of barcodes also means that the Clipboard can handle multiple documents at once. For the public, customer facing application, we would recommend you look at Wacom’s DTU-1031X, the DTU-1141B, the DTH-1152, and the DTK-1651. All of these models plug into a PC and are used as you would a second screen. But, thanks to the electromagnetic resonance technology used in the screen and stylus, these tablets are far more useful than simple monitors. The ability to act as a second screen, but with touchscreen capability, means that these tablets are ideal for use in a customer facing environment that requires the customer’s input. Completing entry forms at hotels, or selecting seats at the cinema, are just a couple of examples of where the DT* series will come in useful, and they are, of course, fully capable of handling handwritten signatures on their electronic documents. In the middle of the range, you will find our most popular esignature solutions. The final two pieces in the ePadLink range are the ePad-Ink, and the ePad Vision, and from Wacom, the STU-430, STU-430V, STU-530, STU-540, and STU-541. All have screens and are suitable for customer facing applications, although they do not have the “full page” capabilities of the DT* series. They can all, however, be used to display simple marketing messages, or even ask questions of the person using the pad. The STU-430 pads, and the ePad-Ink are limited to black and white images, while the Vision, and the higher end STUs are fully capable of displaying colour images with remarkable detail. All of our esignature solutions come with their own developers’ kits, drivers, and software. For the ePad range, this comes in the form of IntegriSign Desktop, an application which incorporates the SDKs and holds ready-made plug-ins for Microsoft Word and Excel, and Adobe Acrobat. Also available is a standalone piece of software called pDoc Signer which allows for the signing of PDF documents without the need for a full blown version of Acrobat. The Wacom series of signature pads also has a standalone piece of software for PDF signing, this one named SignPro PDF. The rest of the download for the Wacom pads is all contained in a pair of SDKs, designed to allow you to integrate Wacom’s signature solutions into your own software. Whatever your application, we can help you find the right solution. For more information, or to arrange a demonstration, please contact us. As autonomous and self-driving vehicles are perfected and start to see use on the roads, it is natural to wonder, what will the occupants do, now they no longer need to pay attention to the road? This is where IEE‘s latest innovation comes in. 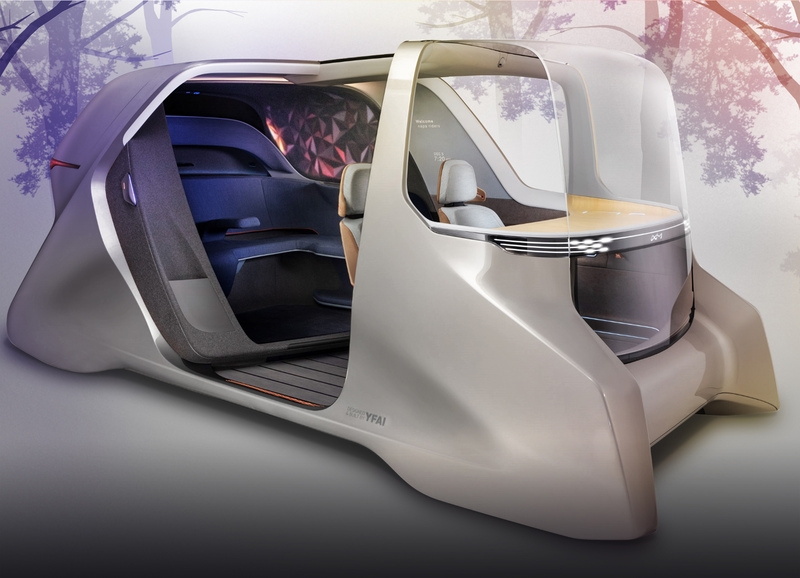 They have been working alongside Yanfeng Automotive Interiors to develop the “Active Space” system in the rear compartment of Yanfeng’s new autonomous rideshare concept vehicle, ‘Experience in Motion 2020,’ or XiM20 for short, which is currently touring the US. 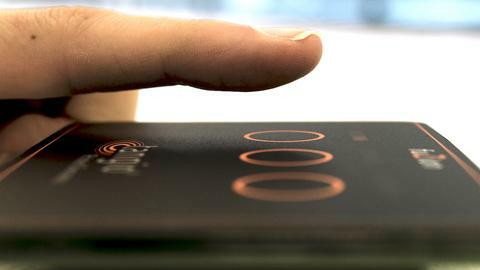 Active Space is an interactive 3D sensing solution combined with a tailored human-machine interface delivery, using a unique combination of in-cabin 3D sensing plus large surface display technology. It enables immersive interaction between passengers and the vehicle interior for entertainment, communication, and ambience. Whether installed for functional reasons or not, clever use of light can add a whole new dimension to your decoration. American Bright‘s flexible light strips and ropes allow you to do just that. They are available in red, green, blue, white, amber, RGB and RGBW , where those last two indicate a combination of LED colours – red, green, and blue, and red, green, blue, and white. The flexible lighting strips and ropes are also available with a few different IP rating options. The first, IP20, is not waterproof, but is protected from physical objects up to about finger size from touching the electronics. The other two, IP64 and IP67 are completely sealed to protect the electronics from dust, and vary in their water resistance, with the IP64 protecting against splashed water, and the IP67 capable of being submerged for short periods of time, and up to a depth of 1m. 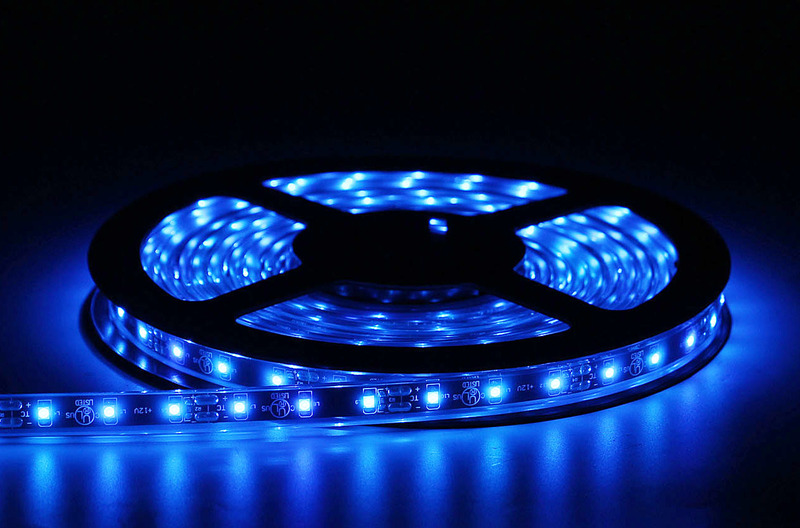 The maximum length these flexible light strips can be is determined by the power you are using to run your lights. A 12 volt DC supply has a maximum length of 5m, A 24 volt DC could reach up to 10m, and for the rope lighting, which can also accept a 120/240 volt AC power supply, you can get up to 35m in length. The rope lighting is constructed from a hollow silicone structure which allows for more flexibility when setting up your light system. If you’d like to know more about the flexible lighting strips, or the rope lights, please get in touch with us here at Steadlands. 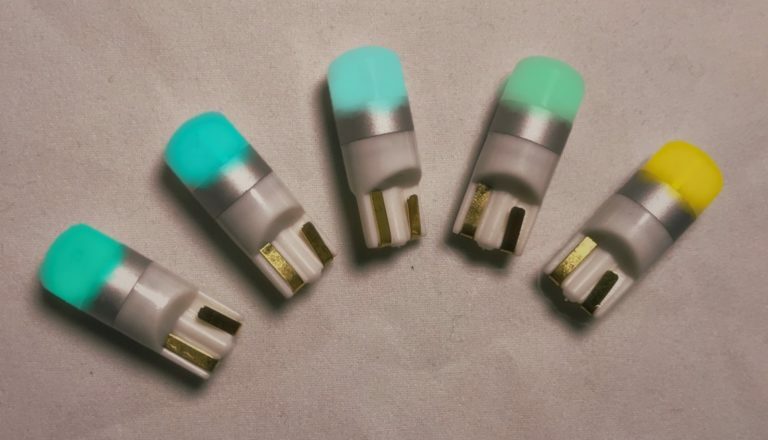 American Bright have launched a series of automotive LED lights that serve as low power, high brightness replacements for the T10 incandescent bulbs. As with all LEDs, they give off minimal excess heat, and no infrared, ultraviolet, or other harmful radiation. The T10 LED bulbs are available in either 12 or 24 volts, and 0.5 or 1 Watts. They can be bought in four different colours. These are Amber, White, Cool White, and Warm White. Depending on all of these variables, the bulb will output light ranging from 37 to 105 lumens. If you’d like to know more about the T10 LED bulbs, please don’t hesitate to contact us. Light comes in three parts – red, blue, and green. It’s a bit more complicated than that, but this will do for now. When something appears white, it is because it is reflecting all three colours, and absorbing none. At the other end of the scale, if something appears black, they are absorbing all of the visible light, and reflecting none of it back. All colours in all things lie somewhere between these extremes, absorbing some light, and reflecting back part of a specific bracket which is what gives us colour. Plants usually reflect the green part of the light spectrum, hence their green colour. They also have chlorophyll in their leaves, which allows them to convert light into energy for growth. Chlorophyll comes in several different varieties, but the two you will find in green plants everywhere is chlorophyll a, and chlorophyll b. Chlorophyll a is what allows the plant to convert energy from the ultra-violet end of the light scale, and chlorophyll b converts energy from the infra-red end of the light spectrum. This is why you will often find LED lighting designed for horticulture gives off a purple light. They are providing light in both the blue and red parts of the spectrum that the plant needs for maximum growth potential. The other thing to consider when looking at horticultural lighting is the amount of light they give off. It won’t make much difference if you’re using the right colour light, if the beam is too weak to matter. This is rated in Lumens (lm). An old 60 watt filament bulb, for example, would give off around 800-850 lumens, or to talk the technical talk, around 13-14 lumens per watt (lm/W). In comparison, an LED light that gives off the same amount of lumens, would only need to be rated at about 11.5 watt, so barely 20% of the power needed. As well as the obvious power savings, LED lighting technology also means that we can generate the same amount of light as an old bulb, while giving off just a tiny fraction of the heat a filament bulb generates. This is part of how we can generate the same amount of light with a far lower wattage – a far lower energy loss due to heat waste. American Bright Optoelectronics Company has recently launched a new range of horticultural LED strip lighting, making them the first company to market an efficient and industrial scale IP67 grow light system. It is suitable for use in both vertical and horizontal applications, and is available in both DC and AC format, depending on length and voltage. The maximum length of the lighting strips can be up to 98 feet, or 30m. At this length you are limited to a 240 volt AC power supply. The next length is 65ft, or 20m, which can be lit using a 120v AC power supply, and the final, shortest length available is just 10ft, or around 3m. This is the maximum length you can use if planning on using a DC power supply. 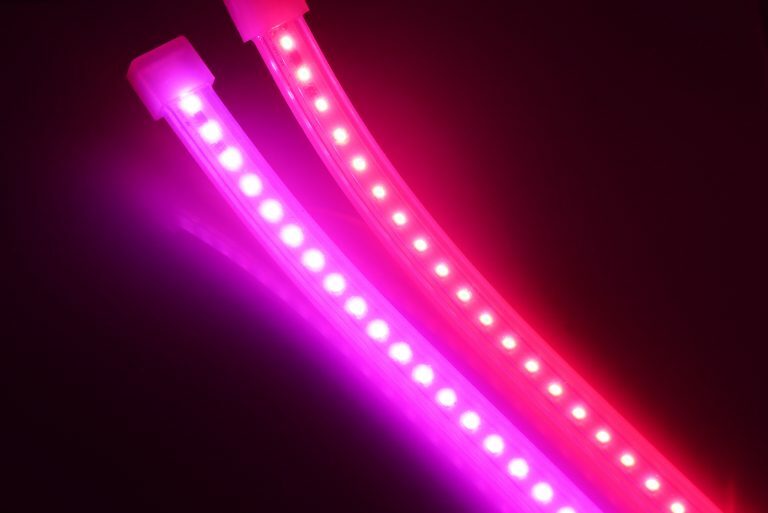 If you’re interested in finding out about any of American Bright’s products, including these horticultural strip lights, please do not hesitate to contact us. 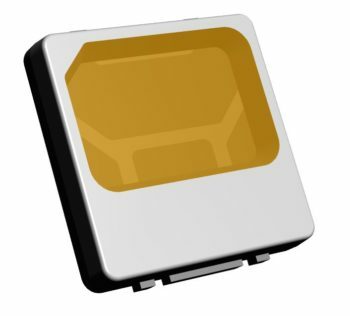 One of American Bright’s flagship LED products, the EzyLED, now has a digital datasheet available to watch. For further information on the EzyLED products, please visit the American Bright website, and if you have any questions, please get in touch with us. Tangio continues to lead on the cutting edge of Force Sensing Resistor technology with their latest product, Fuzion, which combines the different methods of force sensing. Force sensing resistor technology comes in two variations. Resistive FSRs use a conductive layer in the sensor itself, which requires pressure to be applied. The more pressure applied to the sensor, the lower the resistance. The majority of typical force sensing resistors are of the resistive type. The other version of force sensing technology is one often seen in technology like smartphones. A capacitive FSR works by detecting electrical currents, and basing the resistance on the current detected. This even works with the minute electrical signals running through your body, and doesn’t even require touch, only proximity. Fuzion combines both of these into a single unit, allowing for unprecedented control over activation. In the demo video below, you can see how the sensor detects not only pressure applied (green lights), but also when a user’s finger approaches the device (orange lights). Fuzion was created so it only needs one sensor which is capable of handling both methods of detection, and only one interface, saving you both time and money in the supply chain. 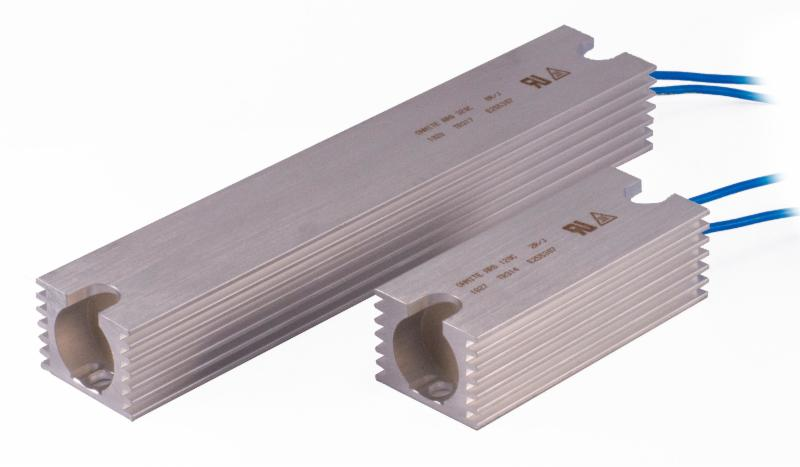 Ohmite is expanding it’s popular line of Aluminum housed resistors. The Ohmite ARG series is a high wattage wirewound resistor sealed in an aluminum extrusion. The aluminum housed design is appealing to power engineers for multiple reasons. Key design aspects include a sealed design, flying leads, and heatsinking ability. The ARG series is capable of dissipating 150-400 watts depending on resistor length and is available in 6 sizes. Ohmite offers other aluminum housed resistors and should be considered in high power industrial applications. Ohmite distribution partners can expect to receive the NPI package shortly on the ARG Series. Thermoelectric Cooler and Thermo Generating Module technology is based on two principles, the Seebeck effect, and the Peltier effect. The first of these shows how we can use a temperature differential to create an electrical charge, and the second, how we can use an electrical charge to create a temperature differential. When heat is applied to one of the conductors or semiconductors, this creates a flow of heated electrons towards the colder side. This in turn generates a tiny electrical charge, in the microvolts range per kelvin of temperature difference. Connecting devices using this Seebeck principle allows you to maximise the voltage by connecting the devices in series, or to increase the current by placing the devices in parallel with each other. On the other side of the equation, if you were to instead apply an electrical current through a junction between two conductors, you would also see a transfer of heat passed to the cooler of the components. A typical heat pump using peltier technology uses several junctions in series, some of which gain heat, and others which lose heat as a current is applied. You will find thermoelectric cooler technology in many places where temperature has to be controlled, from refrigeration units, all the way up to satellites. When used in satellite technology, TECs are used to help maintain a temperature suitable for the satellite’s internal components to still function. Back down on Earth, thermoelectric coolers are used to help regulate temperatures in refrigeration units, such as those used to carry frozen goods from country to country, or even the freezer rooms in the back of restaurants. In this instance, it is especially important that the TEC’s output temperature is well regulated, as this could determine if the item using the thermoelectric cooler is compliant with a number of food safety standards including ISO9000, and HACCP. We supply thermoelectric coolers, and thermo generating modules manufactured in Russia by Kryotherm. Click here to view the Kryotherm website, and if you’d like any information or pricing about any of their products, please, give us a call. Ohmite Manufacturing has recently completed the acquisition of the electronic components portion of Kanthal, a part of Sandvik Group based in New York. This provides Ohmite with a new, full line of ceramic non-inductive resistors, plus Maxcap double layer capacitors. Kanthal’s Globar ceramic resistor products will be combined with Ohmite’s existing A Series and OX/OY Series product lines to form the new Ohmite Ceramic Resistor Division. This new branch of the Heico Companies will remain headquartered in New York, and will concentrate their efforts on higher voltage, and higher current electronic solutions. These new components will be available on a direct basis from Ohmite, as well as Ohmite’s partner distributors world-wide. This new acquisition helps consolidate Ohmite’s position as a world leader in power resistor manufacturing, and ensures they can now supply a complete product offering across the three leading solution platforms, including ceramic/composition, thick film, and wirewound construction. Ohmite’s Director of Sales, Kurt Devlin, issued this statement. “We are excited to have the Kanthar Globar resistor products join the greater Ohmite and ARCOL family. This acquisition rounds out our total solutions offering which is unique in the global resistor market. Based on England’s North East coastline and in operation since 1993, Steadlands represent and distribute for some of the industries largest and most respected names in the Electronic Component, Automotive Technology and Information Technology Sectors.